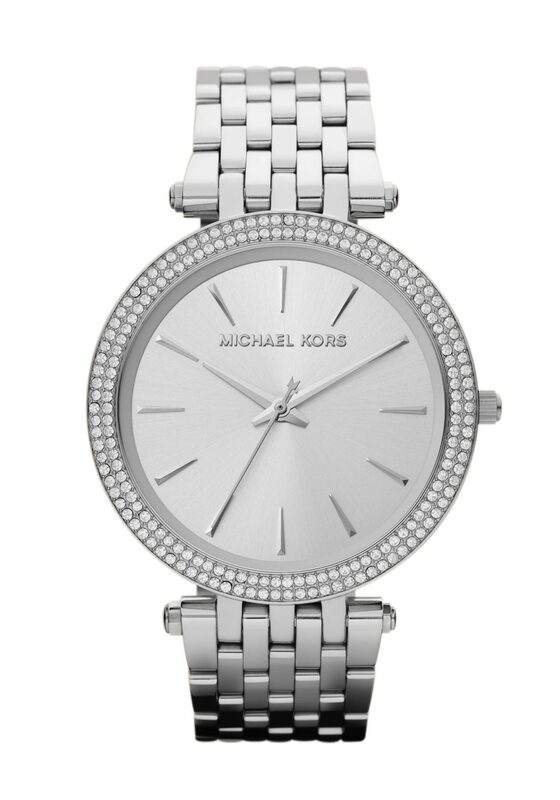 Simplistic with a hint of glam from Michael Kors. 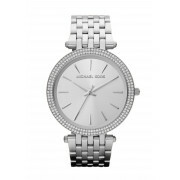 This Darci watch has a classic stainless steel silver strap with a fabulous pave embellished bezel which makes it so striking. The dial has silver hour markers and a split second hand. The perfect watch to glam up an everyday wardrobe.